The Worcestershire and Districts Association, winners of the W. W. Worthington Memorial Trophy Competition. Back (I. to r.):- C. Lees. C. M. Orme, H. T. K. Haslam, I. Westwood. P. M. Orme; front (I. to r,): J. R. lees, A. E. Hartley, M. D. Fellows, P. Jopp, M. G. Powell. 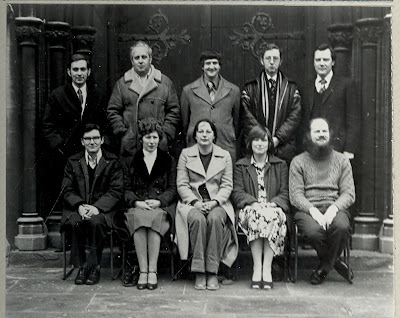 April 7th was the date of the second competition for the W. W. Worthington Memorial Trophy, now to be an annual competition and held at St. Paul’s, Burton-on-Trent. It is open to 10-bell bands representing territorial associations (or branches thereof) affiliated to the Central Council.The number of entries again had to be restricted, and bands entering for the first time were the Lincoln D.G. 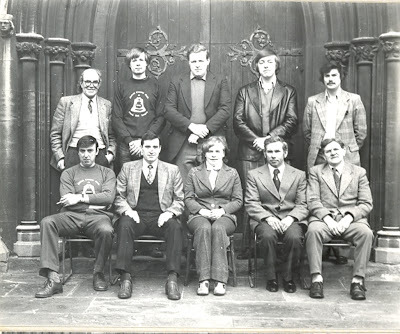 and the East Berks/South Bucks Branch, Oxford D.G. In response to requests by competitors last year for some general ringing during the afternoon, the bells of Burton (All Saints’) (6), Stretton (6) and Rolleston (8) were available at various times during the afternoon, and this proved to be a popular and worthwhile addition to the itinerary. A total of eight entries had been accepted and all bands were present at 2 p.m. for the draw for ringing order. Before making the draw the Vicar of St. Paul’s, Burton (Rev. R. N. Whittingham), welcomed competitors and said that he was pleased for the bells to be used for the competition. The test piece was a true 404 change’s, consisting of 202 each of Stedman Caters and Cambridge Royal. Each band was allowed 30 minutes to try the bells and complete the test piece. Buffet facilities were provided throughout the afternoon and were extremely well supported, resulting in frantic sorties around the neighbourhood during the late afternoon to secure additional provisions. Fortunately, all appetites were eventually satisfied, and the catering again made a valuable contribution towards the cost of staging the event. By 6.30 p.m. all had completed the test piece, and competitors were again assembled to await the verdict of the judge (Harold Chant) who had been assisted by his daughter. Mr. Chant diplomatically observed that he had been impressed by the overall standard of the ringing; all the bands had produced some good ringing, but some had produced more of it than others! He then delivered very perceptive but concise observations on each performance, and placed the bands in the following order: 1st, Worcestershire and Districts Association (44 faults); 2nd, Oxford D.A. (East Berks./ South Bucks. Branch) (51); equal 3rd, Derby D.A. and Leicester D.G. (67); 5th, Lincoln D.G. (82); 6th, North Staffs Assn. (90); 7th, Midland Counties Guild (93); 8th, Staffs. 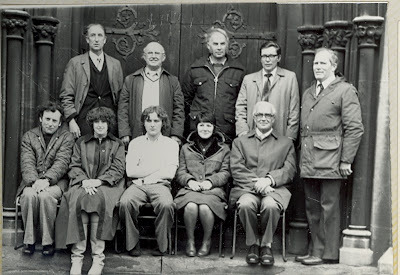 Archdeaconry Society (98). The silver rosebowl trophy was presented by Mr. Charles Worthington to Martin D. Fellows, of the winning team, with appropriate congratulations. Mr. Fellows replied that his team were pleased to have won, having been second last year. He looked forward to returning in 1980 to defend the trophy. 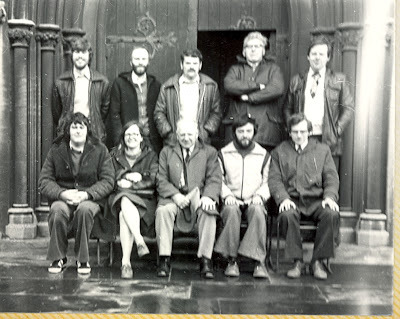 Following the announcement that next year’s competition would be held at St. Paul’s, Burton, on April 26th, the majority of ringers adjourned to the nearby ‘Star and Garter’ for the usual inquests. 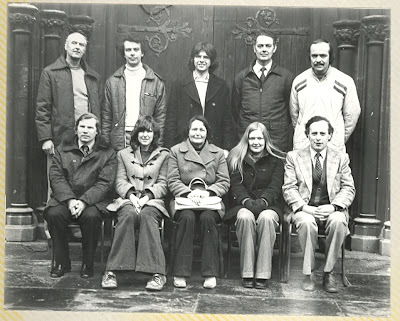 J Alan Ainsworth, Patricia Newton, Jean A Darmon, Katharine J Firman, Christopher Parkinson, Stanley E Darmon, Kenneth J Darvill, Graham G Firman, David Cornwall, Robert H Newton. 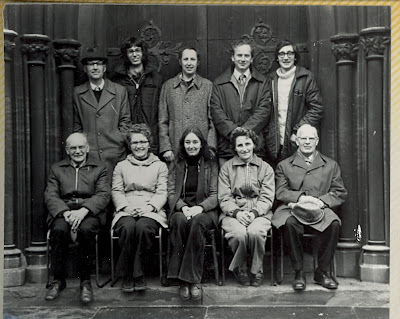 Alan Cattell, Ann Black, Gillian Loveridge, Carol N J Franklin, Stephen J Franklin, Clive J Mobbs, John M Jelley, Roland H Cook, D Robert Pettifor, R Kingsley Mason. 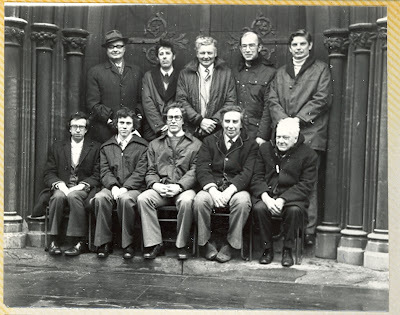 Frederick E Wilshaw, Ralph B Mitchell, Michael Wilshaw, Timothy M Davis, Raymond Ballard, Norman Sherratt, Harold Dowler, Walter Sherratt, David J Midgley, Raymond H Daw. 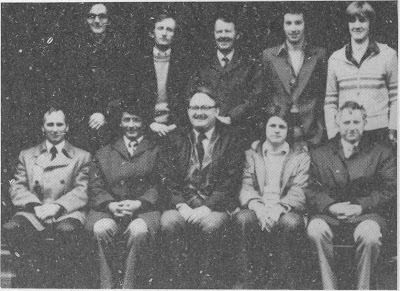 John A Rose, S Geoffrey Pick, Eric E Speake, R Jean Johnson, D C H Simpson, M Pomeroy, Philip J Day, John P Burton, Brian Harris, David Bates.